The bitterly cold weather has brought a string of transport disruptions across the North Island this morning. 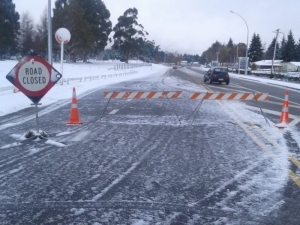 According to the New Zealand Transport Agency (NZTA), State Highway 4 between Erua and Manunui, the Desert Road and State Highway 49 between Ratihi and Ohakune are all closed due to snow. State Highway 4, around 500 metres south of Raurimu Township, is also closed following a pre-dawn truck crash. At around 3am, two trucks collided, and were locked together, side by side on the road. Police report that the road is closed and heavy recovery equipment is en route to the scene from Taupo. North of Wellington, the Rimutaka Hill on State Highway 2 also remains closed, due to ice on the road. Meanwhile, forecasters say the cold snap is set to hang around for another day. 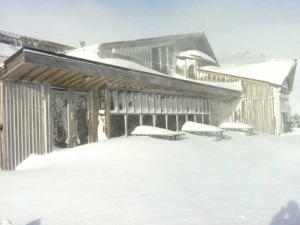 And while MetService reports that heavy snow has eased in central and southern parts of the North Island, frigid temperatures are setting in. "Snow flurries about the central and southern parts of the North Island above 300 metres are expected to turn to sleet this morning, then slowly clear," forecasters report. With falls forecast down to 200 metres, residents in Wellington's hill suburbs, such as Karori, Northland and Johnsonville, experienced flurries overnight. As of 8am, the temperature in Wellington was about nine degrees. A few morning showers have been forecast, but it is expected to be fine this afternoon. In Auckland and Northland, southwest gales have also eased and the severe weather warning for this region has now been lifted. A few showers are also forecast for Auckland this morning, but the city can expect sunny spells later this afternoon. 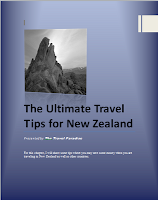 "Cold for us Aucklanders!! The urban centre got down to about 3 degrees earlier (now between 4C and 5C); still close to zero degrees around Ardmore," MetService tweeted. After wind and rain damaged power lines yesterday, Vector confirmed that up to 500 homes in Auckland had been left without power. Most homes have had power restored overnight, but some outages remain in west Auckland. A Vector spokesperson told ONE News that there are now four customers in Bethells without power and 19 at Helensville. In Wellington last night, a bitter southerly combined with an unusually high, or "king", tide at 7.40pm to cut off Eastbourne, stranding drivers in Marine Parade. Hutt City Council closed the road from Pt Howard to Lowry Bay at 8pm as waves combined with heavy debris blocked access. About 20 cars were caught on the Pt Howard side, waiting for the high tide to recede and for debris to be cleared by council workers. "It's never been like this before," Eastbourne resident Lauren Sturgeon said. "We're used to some pretty wild conditions, but it must be bad if you're not allowed in at all." Other commuters around the region faced road closures, delays and public transport cancellations. Up to 20 cars were stranded on the Rimutaka summit until 11am yesterday. Some, such as Featherston residents Jason Brixton, 24, and Elena Lynch, 20, headed for the top of the hill when they heard about the fall. "We do this pretty much every year when it snows. We like the snow. It covers everything. It is cool," Lynch said. Wellington's East to West ferry replaced its last sailing with a shuttle service. TranzMetro cancelled two train services between the city and Johnsonville because of slippery tracks.